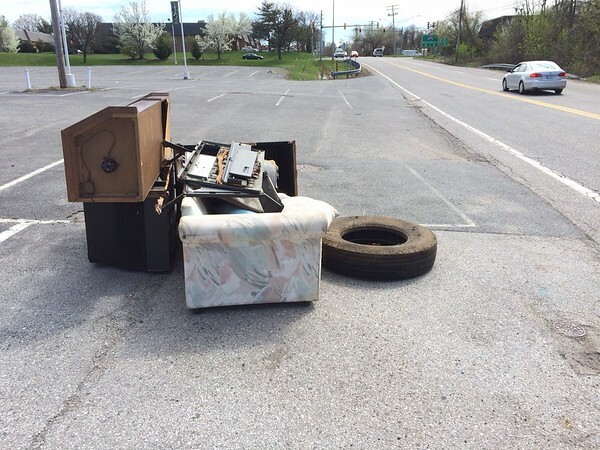 4/16/2015, Jon Merryman, Patapsco Watershed, AA County, 841 Hammonds Ferry Rd, Sofa bed, corner hutch, big screen tv, tractor trailer tire were found. Jon suggested, "Probably worth alerting the police that someone is using the old Snyders location as a dumping ground." Estimated weight 425 pounds.